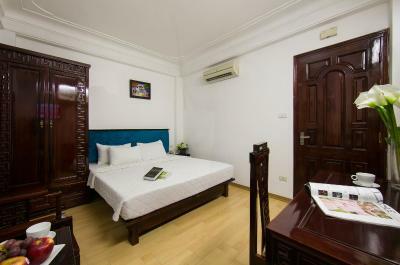 Lock in a great price for Little Hanoi Hostel 2 – rated 8.6 by recent guests! Good location, breakfast was good and staff were friendly. Loved the location. It was perfect for our favorite places to go to. Loved the staff did and over the top job for helping us with transportation. 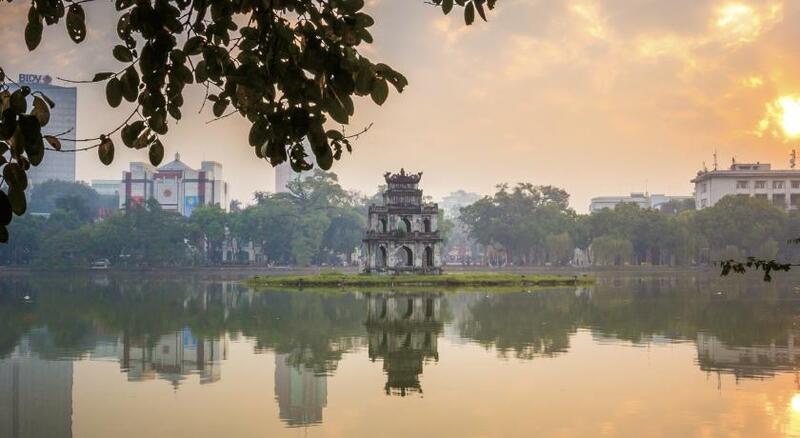 Location could not be better, across from lake, on edge of old quarter and , bonus, two blocks from Vietnam Airlines airport shuttle station. 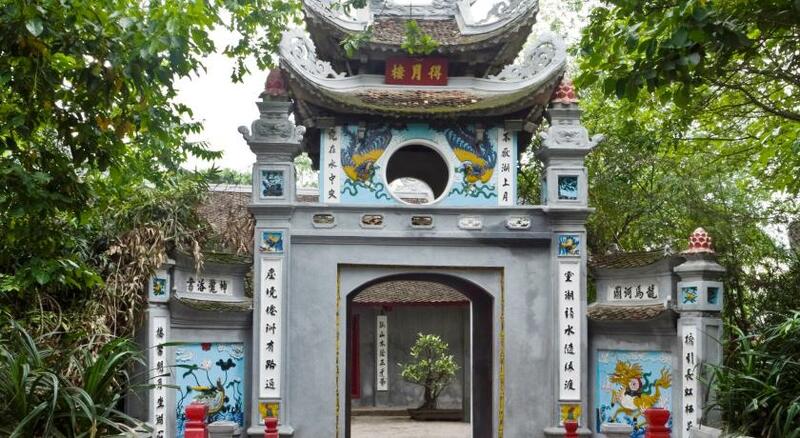 The place was few steps away from the great Hoan kiem lake. nice location but the entrance can be improved. Electric kettle in the room will be convenient. Staff named Moon was excellent. She was very helpful and smiling. I am very satisfied with the price. Especially the staff are very kind and excellent. Little Hanoi Hostel 2 This rating is a reflection of how the property compares to the industry standard when it comes to price, facilities and services available. It's based on a self-evaluation by the property. Use this rating to help choose your stay! Located in the Old Quarter across the street from Hoan Kiem Lake, Little Hanoi Hostel 2 offers air-conditioned rooms with free Wi-Fi. The hotel also houses a restaurant. The hostel is less than a 10-minute walk to local attractions including The Water Puppet Theater and the weekend night market. 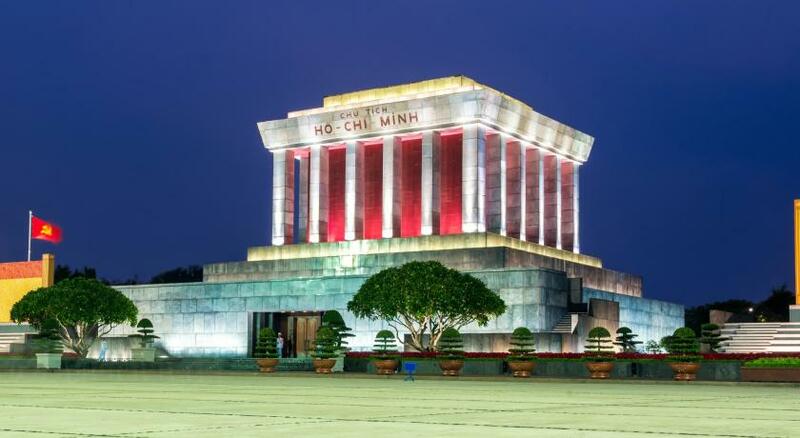 Hanoi Train Station is 1.2 mi away while Noi Bai International Airport is 22 mi away. Fitted with wooden flooring and heating systems, each room features cable TV and a mini-bar. The private bathroom is equipped with a bathtub, hot shower facilities and toiletries. Luggage storage, airport shuttle and laundry services are available. Rental of bicycles and motorbikes are also possible. the hostel's staff can also assist with tour information and bookings. 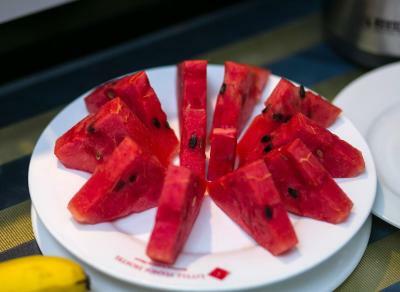 Breakfast is served in-room on request or at the hostel’s in-house restaurant, which opens from 7:00-11:00. 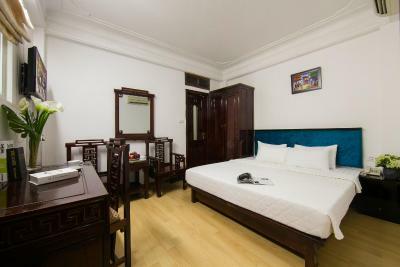 뀐 Located in the real heart of Hanoi, this property has an excellent location score of 9.3! When would you like to stay at Little Hanoi Hostel 2? Featuring a double bed. 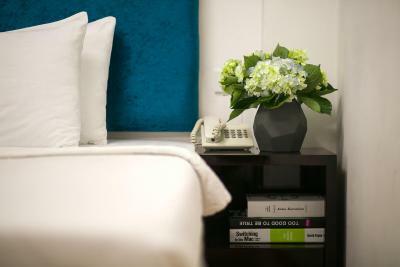 air-conditioned room with heating includes a cable TV and mini-bar. Private bathroom comes with a bathtub, shower, hot water and free toiletries. Featuring 2 single beds. air-conditioned room with heating includes a cable TV and mini-bar. Private bathroom comes with a bathtub, shower, hot water and free toiletries. House Rules Little Hanoi Hostel 2 takes special requests – add in the next step! Little Hanoi Hostel 2 accepts these cards and reserves the right to temporarily hold an amount prior to arrival. Very nice staff, especially the lady at the reception. Good location, near to center. We didn’t like their promise - I had book with ask our room in the front around few months before check in , I would like to have more bright and nice views. They answered and confirm by Email that it’s find and OK But when we check in their said no . By my opinion it’s really don’t true and not good . The location is great, esier for everything . The staff was amazing with us, they help in everything. We go from Hanoi to Halong the next day and they look after care our luggage. So happy with the experience, the relasionship beetwen money and quality was really good, breakfast good and free tea all the day. We advice them sure! The price is high for what you get. No tea or coffee in the rooms. The bed was comfy. The staff were lovely even when we had to check out really early. Room had no window, and was very loud - the walls and floors are very thin and you can hear everyone in the building talking. Bathroom could of been a little cleaner. Room 402, is 3 persons room. Bed not comfortable, room is small, dun have place to keep 3 persons luggage. Hot water not consistent. No electric kettle in room. Bottled water only provided on the first day.